Connect2Travels is one of the leading and reputed car rental company since 1996, based in Vashi, Navi Mumbai, with the sole purpose of providing quality service at reasonable rates. We have more than 40 vehicle and all vehicles are well-maintained with trained chauffeurs. 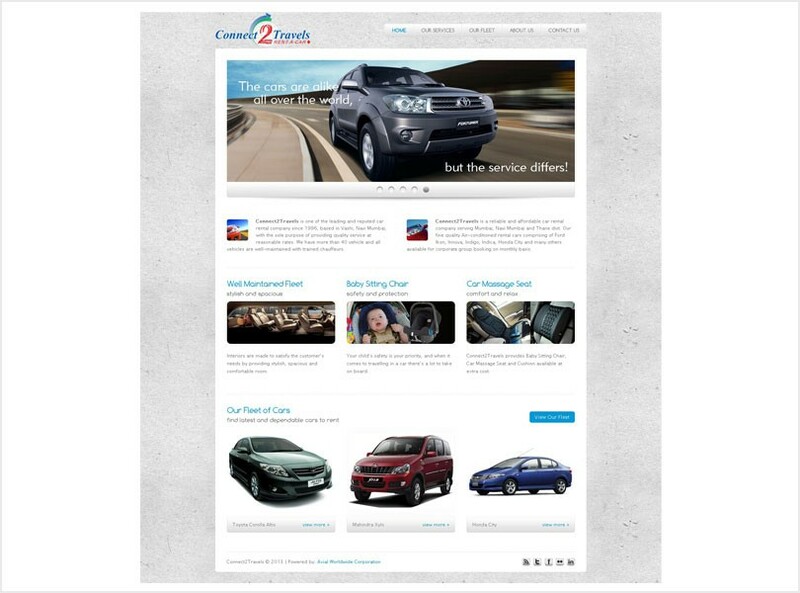 Connect2Travels is one of the leading and reputed car rental company since 1996, based in Vashi, Navi Mumbai, with the sole purpose of providing quality service at reasonable rates.